문수사리보살최상승무생계경(文殊師利菩薩最上乘無生戒經)은 석가모니가 보리수 아래에서 설법한 내용을 경전에 담은 것이다. 원나라에 귀화한 인도의 고승 지공(指空)이 고려 금강산법기보살도량(金剛山法起菩薩道場)에 참가하였을 때, 고려 충숙왕이 지공에게 설법을 요청하자 이 책을 내놓고 설법하였다고 한다. 나무에 새겨서 닥종이에 찍은 것으로, 3권이 하나의 책으로 묶여 있으며, 크기는 세로 26.1㎝, 가로 19.2㎝이다. 고려 우왕 12년(1386)에 쓴 이색(李穡)의 간행기록을 통해 1353년에 강금강(姜金剛)이 간행한 것을 고려에서 다시 간행한 것임을 알 수 있다. 이때 예안군 우공(禹公)이 옮겨 새기려다가 완성하지 못한 것을 성암사(聖庵寺)의 시주로 1386년 5월에 완성하여 간행한 것이다. 이 책은 한국·중국·일본에 전하고 있는 여러 대장경 목록에 책이름이 나오지 않은 유일본으로, 불교의 교리연구에 있어서 그 자료적 가치가 크게 평가된다. 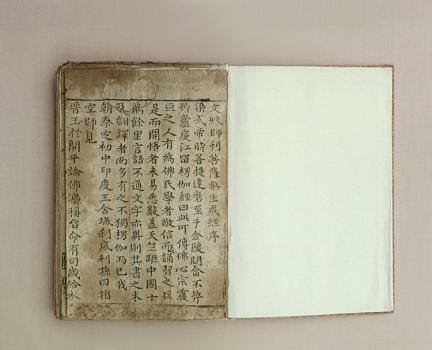 The book of Munsusaribosal choesangseung musaenggyegyeong (The Sutra of the Preaching of Manjusri) includes the sutra preached by Sakyamuni under a linden tree. 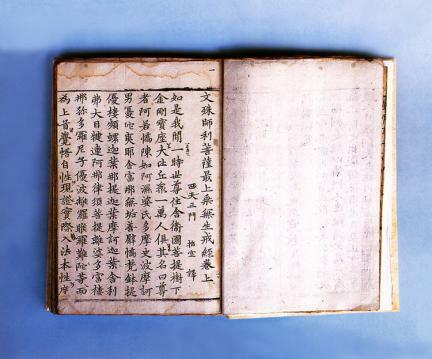 It is said that when the Indian Monk Zhi Kong, who was naturalized in China (Yuan), attended the Buddhist seminary of Geumgangsan Beopgi Bosal Doryang in Goryeo, Goryeo’s King Chungsuk asked him to preach, whereupon Zhi Kong introduced this book to preach. Printed on mulberry paper after being engraved on wood, the sutra consists of three volumes bound into one book measuring 26.1 cm by 19.2 cm. 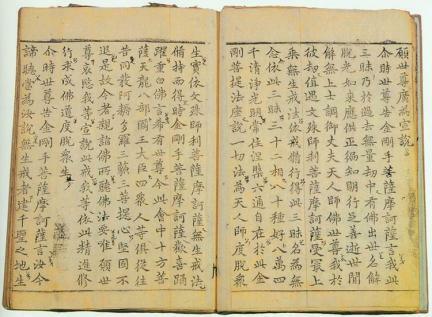 According to the publication record written by Yi Saek in 1386 (the 12th year of the reign of King U of the Goryeo Dynasty), Gang Geum-gang's 1353 edition was republished in Goryeo. 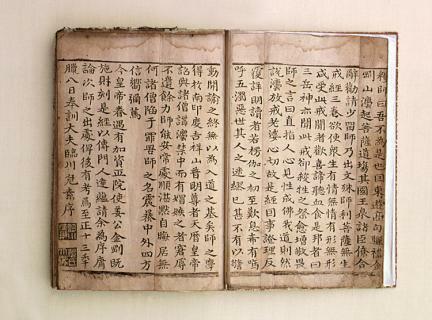 At that time, Prince Yeangun U Hong-bu did not completely copy and engrave this book, so it was finished with the assistance of a donation from Seongamsa Temple in May 1386. As this book is the only one whose name does not figure in the lists of the many Tripitaka Sutra in Korea, China and Japan, it is considered a very valuable asset for research on Buddhist dogma.